We manufacture various versions of our digital receivers RDR “Reuter Digital Receiver” as well as gadgets and antennas. 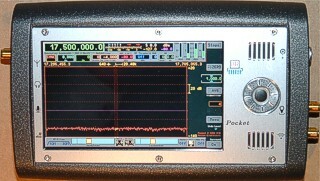 The RDR Pocket is a small hand-held receiver for mobile operation. It contains the complete RDR DSP with up to 10 Hz spectrum resolution. The high-definition 4,3” display (800 x 480) is suitable for direct operation in daylight. A lithium-ion battery with up to 4 hours operating time is permanently installed. Deliverable with VHF / 2 m / DAB+. VHF module can additionally be equipped with 100 kHz - 156 MHz / 2.5 mW broadband exciter. The "Super Pocket" utilizes an independent, magnetically dockable 10" display (Tablet) with Full HD resolution. Its flat full metal housing allows convenient transportation and stable handling. 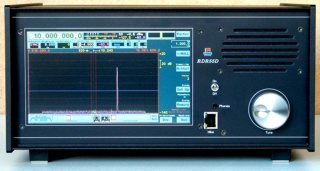 The reception characteristics correspond to those of the Pocket with additional features of the RDR54 / 55 (up to 2.5 Hz spectral resolution, optional quad 16 bit ADC, broadband exciter with up to +20 dBm output, advanced FM displays, ...). The RDR55 is a modular receiver / transceiver with 7" display including touch operation. It can be adapted to many operating conditions thanks to its exchangeable modules. The full metal aluminum housing enables highest reception quality through extensive shielding measures. A wide-range power supply is installed. The RDR54 is a compact, modularly designed receiver with a 5” (13 cm) TFT display and keyboard as well as a magnetic rotary encoder with “turn-push-control”. It can be equipped with interchangeable modules to various extension levels, even later on. The deployed modules define the functionality of the devices RDR54 and RDR55. Some modules like the display or the analog to digital converter are always necessary, whereas others can be used optionally. 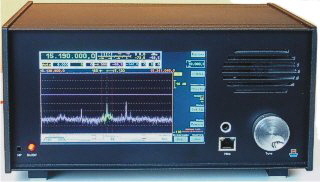 The RDR160 is a Hi-Fi VHF tuner with fully digitized signal processing. It is equipped with a quad ADC module, which is also available for receiving the LMK ranges in AM. A high-grade 24 bit stereo DAC is responsible for the audio output. With 16.9 inch (43 cm) width, the RDR 160 is a perfect match to common Hi-Fi equipment. 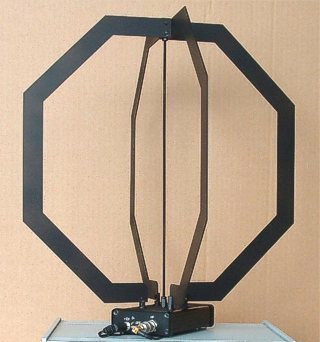 The broadband magnetic loop receiving antenna RLA4 is characterized by high signal levels and low intrinsic noise despite its small dimensions. It has 2 crossed independent receiving loops with their own amplifiers, allowing fast electronic direction control. 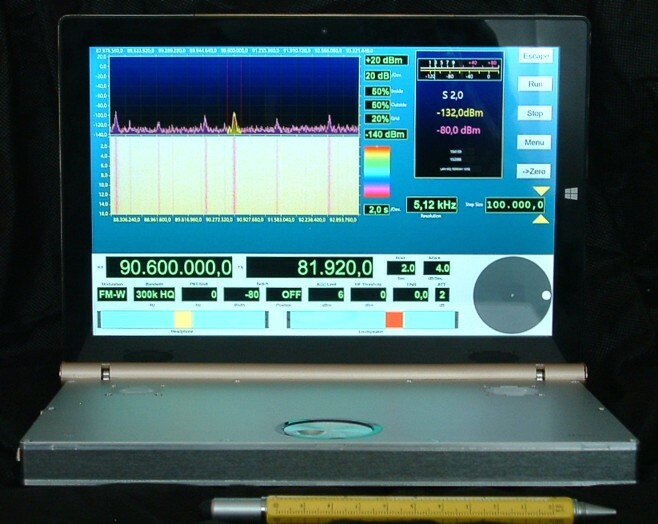 The RDR50 is a solid receiver deploying a 7” (18 cm) TFT display and touch screen control as well as an optical or magnetic rotary encoder. The signal processing with max. 5 Hz resolution is fully integrated on the mainboard. Deliverable with optionable VHF and TX (5 W KW-QRP transmitter) when ordering. The microphone equalizer RME1 is an audio device for editing NF signals. It allows the attachment of microphones and transceivers or common signal sources / -loads with diverse plug connectors (Jack, 8-pin round, RJ-45). 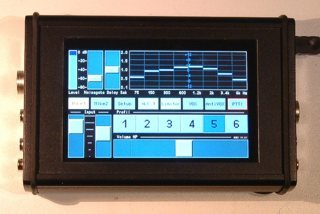 The fully digitized signal processing and operation with 5” (13 cm) touch display includes ALC, compressor, equalizer and various more.